Have you ever come across someone who always seems to “glow” from within? Be it a mysterious radiance in their skin, sparkle in their eyes or effortless sense of being, you can feel the good vibes gleaming from such people. Some may assume that perhaps a clean diet, exercise, skin care regimen will give you that glow from within, but its also due to a balanced spiritual regimen that helps you achieve your natural luminosity. One of my favorite tools for magical rituals is water. Water is the universal conduit to many realms and quickly balances and neutralizes any ritual. You can add any ingredient imaginable and can be used for any purpose. I first became fascinated with using water in my rituals when I saw the documentary “The Hidden Messages in Water”, by Japanese researcher Masaru Emoto. This documentary describes how the mind can have an effect on changing the basic chemistry of water. You can achieve any life outcome with any tool, be it water, a element of nature or inanimate object by simply using your mind. The purpose of any ritual is to either attract health, peace of mind, wealth, abundance and happiness or to push away illness, misfortunes, depression and negativity. All this is done with your mind. Your thoughts attracts things. Push and Pull. So how can we use our minds to get that glow from within and attract light to you? Rose Quartz is one of my favorite stones of all times. Its soothing, calming and warm energy is ideal especially if you’re always on the go rushing and have no time for yourself. Rose Quartz promotes love of all types be it a friendship or romantic and most importantly, promotes love for yourself. 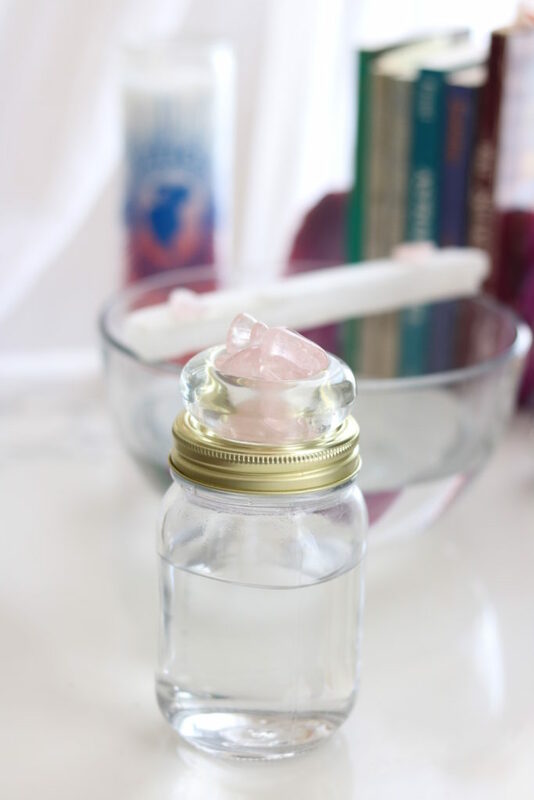 Rose Quartz is also very beneficial for the skin. 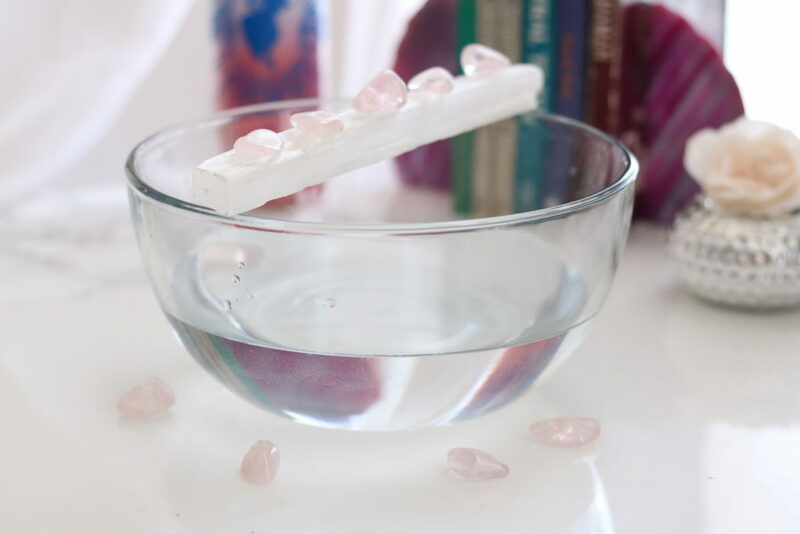 The energetic vibes of rose quartz helps sooth irritated skin, reduces wrinkles as well as promote circulation. Here are other crystals to consider for your purpose. Grab a bowl or pitcher. I prefer to buy distilled water or get purified water. To make it even more potent you can also purchase Rose Water. I stay away from tap water due to the many added ingredients, but if that’s all you have access to, tap water will work just as fine too. Use your mind to purify it! 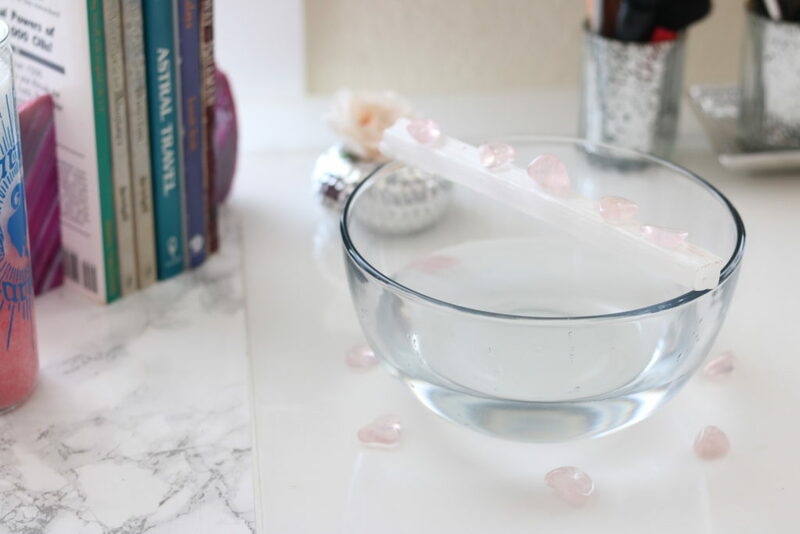 When charging water with crystals, I use the indirect method where I place the crystals along the perimeter of the bowl of water (as pictured above). 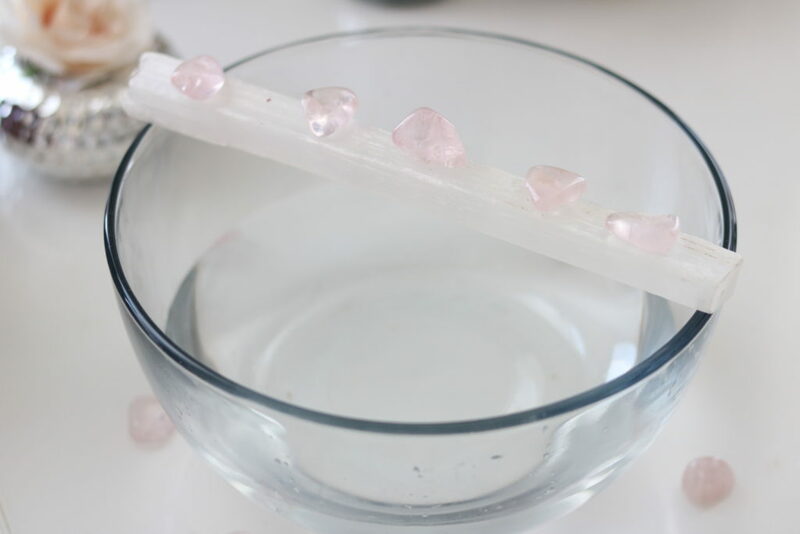 Some stones are sensitive to water which can cause them to crack or get cloudy, so I opt for this method to preserve my crystals. This is a good time to focus your thoughts on what you would like your water to do for you. Like the documentary outlines, your mind and the thoughts your mind generate creates & attracts situations in your everyday reality. Sitting a few minutes in front of your water visualizing and repeating affirmations in relation to your intention for the water, will give your water that extra boost it needs. 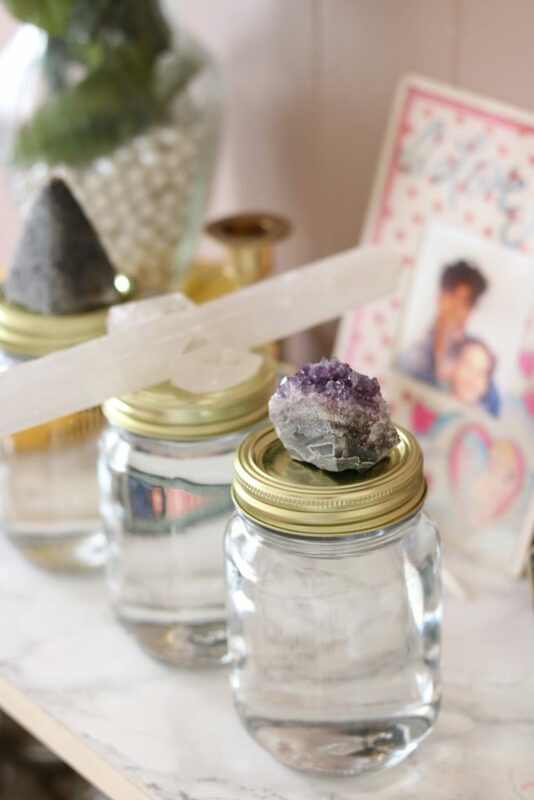 You can also use a Mason Jar or any Jar with a lid and place your crystals on top of the lid to manifest the Crystal’s energy into the water. In addition to charging your water with crystals you can also charge your water with the moon’s glow. 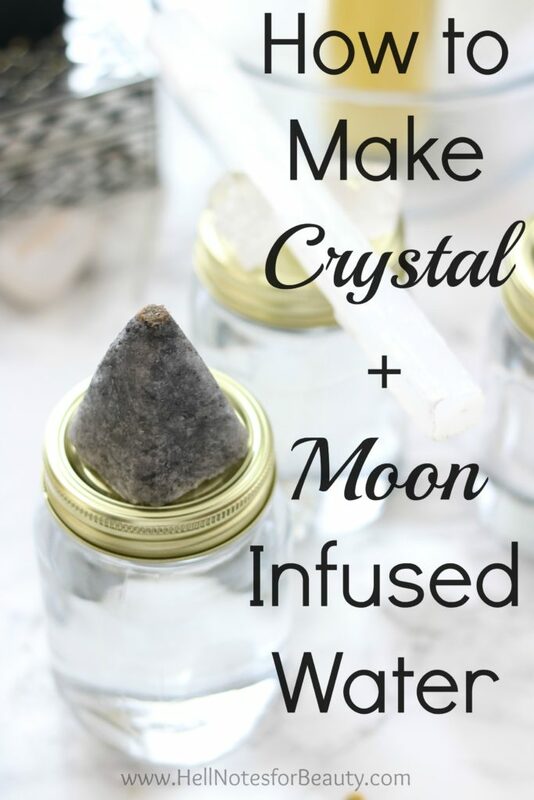 Right after I’m done charging my water with Crystals, I let the water sit outside my balcony or (window sill if its winter) overnight, to let the moon light charge and imbue my water with cosmic energy. 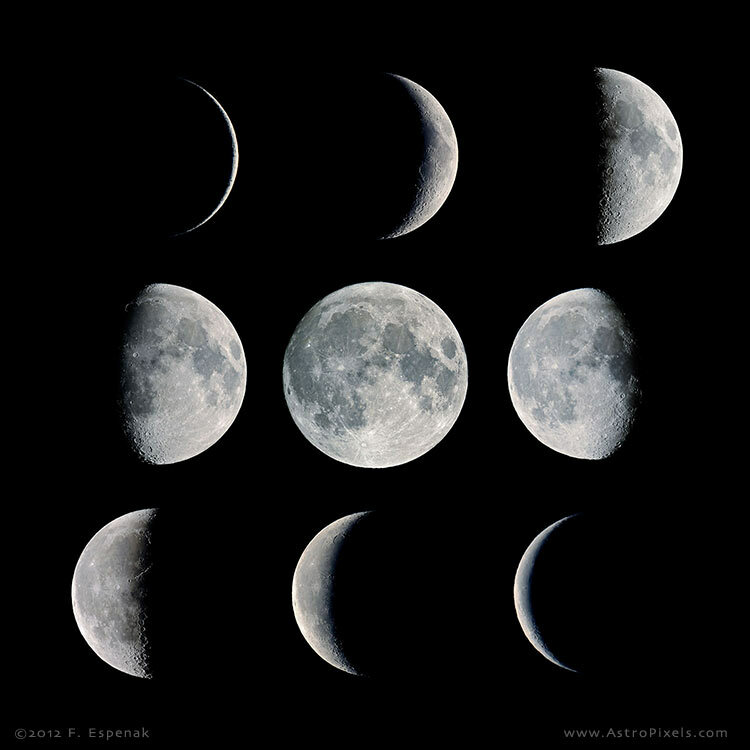 Depending on the purpose for your charged water, you can charge it according to the moon phases. New Moon: New beginnings, fresh start, blank page. Crescent Moon: Intention, hopes, and wishes. Full Moon: Signed, sealed, and stamped, completion, endings. 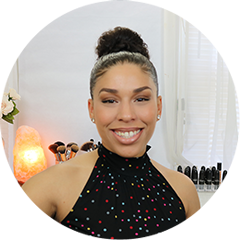 Aura Spritzer: Making sure to do the indirect method (to make sure there are no particles or residue), grab a spritzer bottle and essential oils. I like Vanilla essential oil to attract and Cinnamon oil to push away and purify. Add water and oil to spritzer bottle and keep handy. Can also be used as a natural “Febreze” to freshen up any space. Floor Wash: Use the water collected to mop your home or place of business to lighten up the energy, purify and clarify to attract good and positive energy. Drink it: Again, making sure to do the indirect method (to ensure there are no particles or residue), use this water to purify you from the inside out. 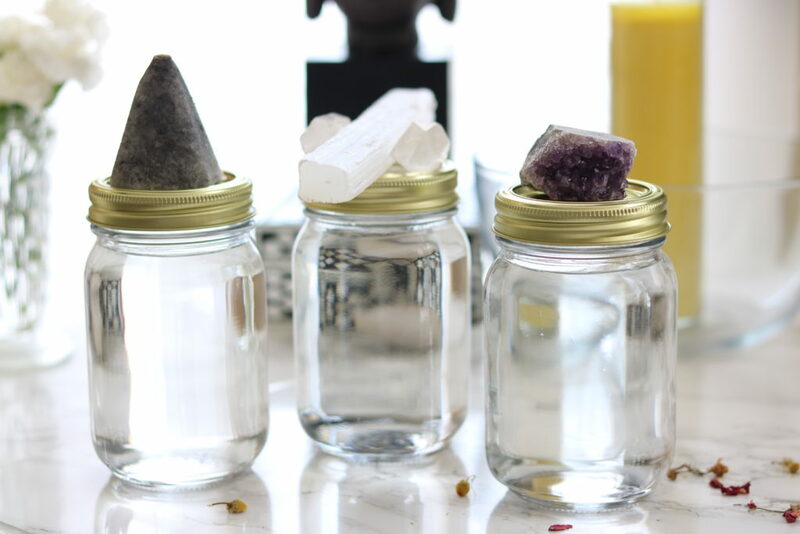 You can also surround your water bottle with your crystals of choice. Bathe in it: I use all my crystal and moon charged water as bases for my aura and spiritual bath. Add oils, herbs and good mojo, depending on the recipe of your bath. The purposes are endless and the intent is to familiarize yourself with the many elements of nature. Water is a very important element to life and can be used to assist us in becoming the best versions of ourselves on the spiritual and material realms.